Yesterday, the family planned to go to the Transport Show at Weston Park with the children’s Grandparents (who live close to it). It sounds a bit dull, but usually has loads of vintage cars on show and some very enthusiastic owners who will tell you all about them! The number of exhibits was not great today – I suspect most would have been there over the weekend as the show runs for a few days over the Easter weekend. After a quick look round, I was given a pass to slope off and go to find some nearby caches. I set off for The Washers new caches along the Shroppie by the M54 – a location we know well as we’ve been on at least two other caching sessions in the same area in the past. As I got out of the Jeep, two people got out of the car in front of me – it was [monki] and his Mum, Wend. Great to meet you again – we had a nice chat about caching before they mentioned that our caching friends, cannonedwards from Newcastle under Lyme, had just set off on the same walk. I texted Mark and Annie to tell them I’d catch them up. Off I dashed and soon found them near the first cache in the series. We had a great walk around the caches, chatting and laughing all the way. On the way round, they also found two other caches that we’d already found. I checked back in with Mrs Bolas Heathens, who said they had gone back to the Grandparents and were starting on some dinner and not to worry about being back to give them a lift home later. Fab – that means I can go on to find a few more caches as the sun is blazing in the sky and I’m thoroughly enjoying myself so far :-). Next stop was the 4 new Washers caches in the woods at Rindleford, just outside Bridgnorth. We’d been here before to do a cache that is now archived and loved the location as it’s Shropshire at it’s best – a bit of terrain, a lovely flowing river and totally unspoilt countryside. I set off on foot and soon found all 4 caches – the last was the trickiest as it was hidden behind a rock. I spotted the right rock almost immediately but ruled it out as it did not look like it moved. I eventually came back to it, pulled a little harder and there the cache was! 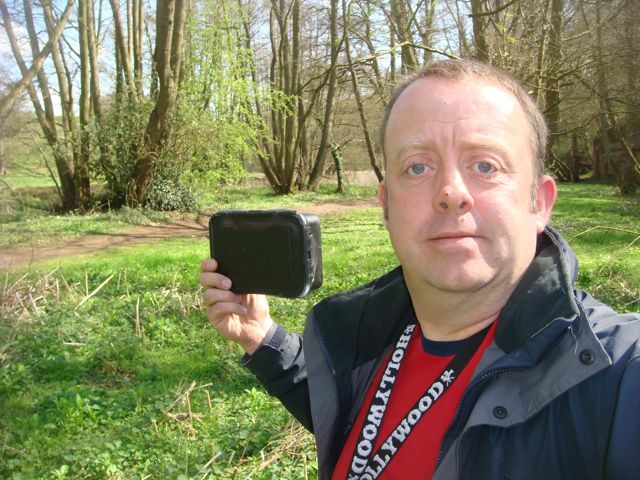 I was still good for time, so set off for the last 2 new Washers caches – Ridgeway Walk and it’s bonus cache. Another area we have been to before and some fab views from the top of the ridge. I thoroughly enjoyed both of these caches and bagged a Multi while I was there as it was hidden half way between the two Washers caches. Still a bit of time left, so I headed over to Acton Burnell and Condover, south of Shrewsbury to do the new caches there. Not much to report here apart from they were all nice easy finds, although a very odd hiding style: they were all big boxes hidden inside random parts of hedgerow. Still, they all earn a smiley each so no problems there :-). 20 finds for the afternoon and a thoroughly enjoyable time in beautiful weather.